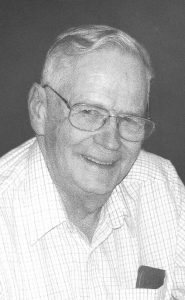 Harry MacFarlane Mitchell of Lethbridge, Alberta passed away at the age of 88 at the Chinook Regional Hospital on November 28th after a brief illness. Harry was born in Medicine Hat, Alberta on May 20th, 1930. He was the youngest son of Robert and Ida Mitchell. Harry was predeceased by his parents, brothers; Robert, Ben, Jim and sister Tanny (Passmore) and in 2006 by his wife of 52 years, Shirley Marjorie (Hiscott). A quiet, gentle cowboy, Harry is survived by his daughter, Toni-Leigh Mueller (Larry) and his son, Willis Ross (Wendy), three grandchildren and three great grandchildren. He is also survived by many nieces and nephews. Harry graduated from The Olds College and became a respected cattle buyer in the Lethbridge and Calgary area. Always a cowboy, he was the youngest son in the Mitchell Ranching Company. Harry was an avid sports fan and a long time Minor Hockey Coach in Lethbridge. Dad was always up for an evening of reminiscing and storytelling with good friends and family. As to Harry’s wishes there will be no funeral service. We wish to thank all the very caring staff at the Lethbridge Regional Hospital for their excellent care and kindness to our Dad and Grandpa. You’ll take me by the hand and say, “Welcome home COWBOY”.